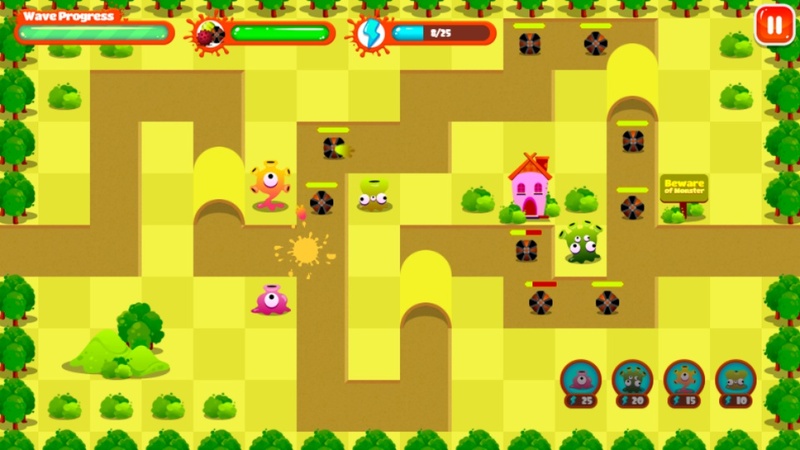 These cute monsters are defending their town from an invasion of balls, and you’re here to help them. 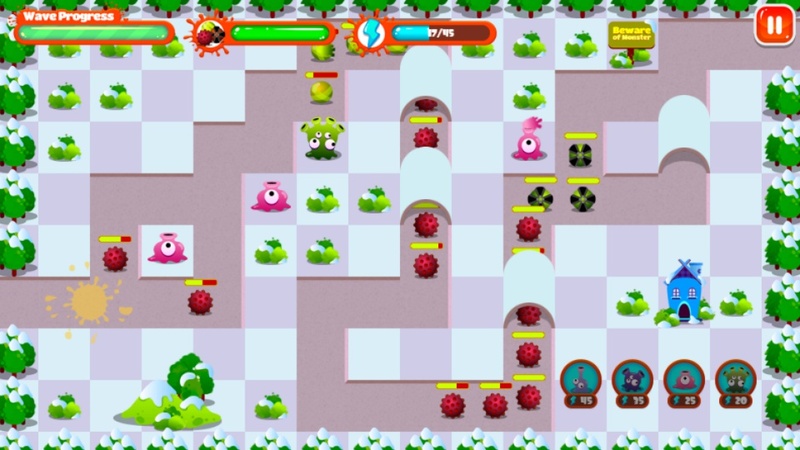 Monster Tower Defense is probably one of the most colorful tower defense games you’ll see. 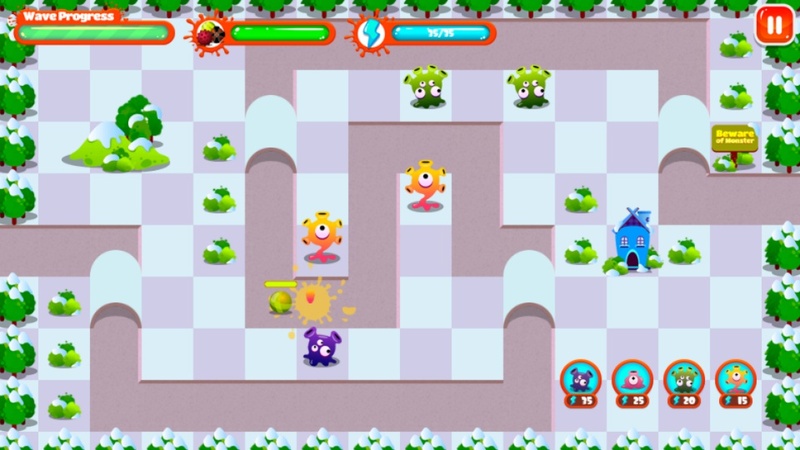 You’ll encounter a rainbow of projectile-throwing monsters—from green ones that kill only the weakest enemies, to purple ones that inflict massive damage. Plus a lot more in between! 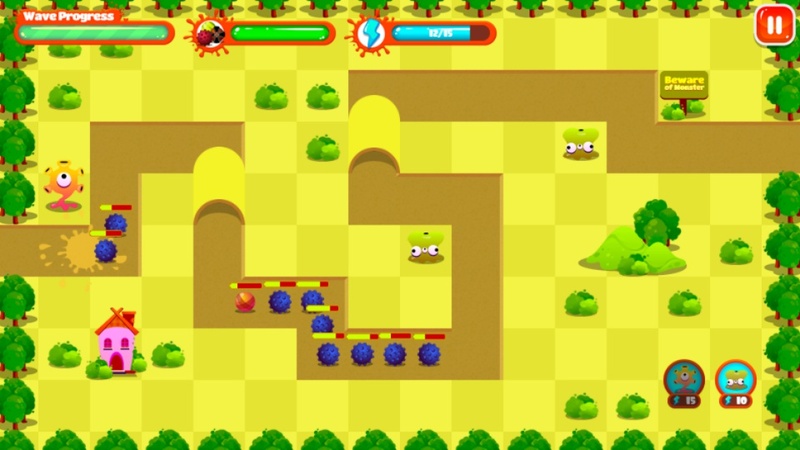 The enemy balls come rolling in, and your job is to prevent as many of them as possible from exiting through the other end of the path. 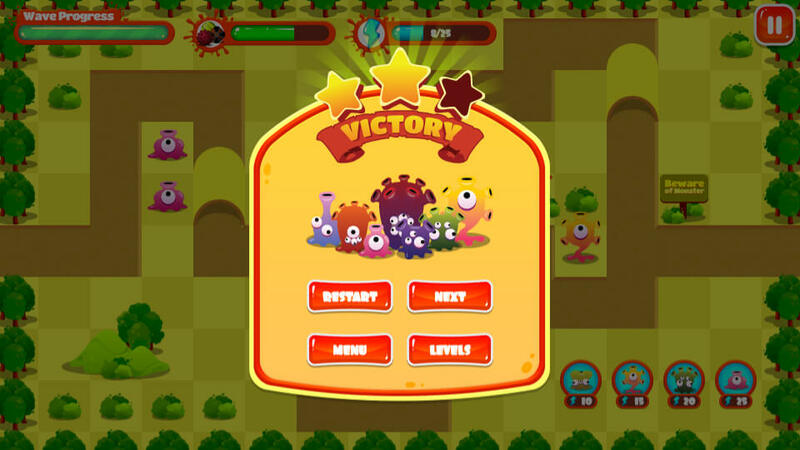 You need to plan ahead and determine the most strategic place to deploy your monsters. But you need energy to use monsters. Only a limited amount of energy is available for you at the start. Killing enemy balls gives more energy. Decide quickly if you will place several weak monsters or a few stronger ones? Or maybe a combination of both? Hitting the sweet spot might be more challenging than you think! 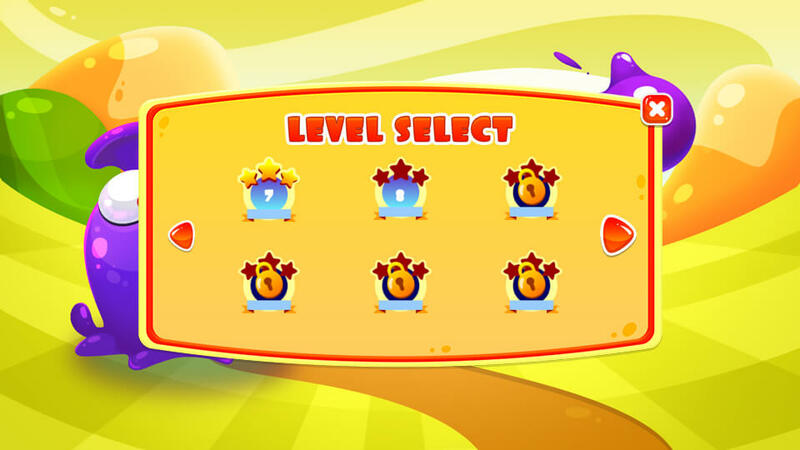 See if you can get 3/3 stars in all the levels!